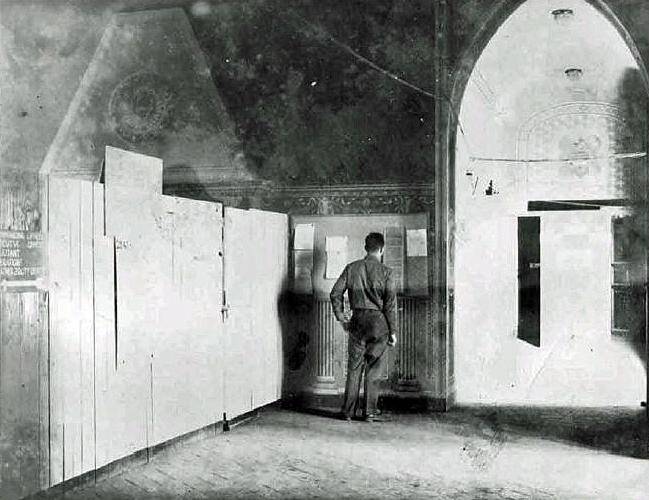 An internal room with a fireplace (on the left) where Group and Squadron sections functioned smoothly behind many doors. Pasquini Castle, Castiglioncello, Italy. April 1945.